Easter is a holiday that is celebrated by many people across the world. Did you know that farming plays a crucial role in many Easter traditions? 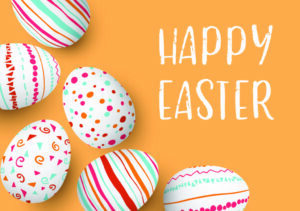 From Easter baskets full of candy and sweets, to hidden eggs and baby livestock, in the United States, Easter symbolizes a rebirth and the unofficial kick-off to spring. An estimated 180 million eggs will be purchased and used for decoration and made into deviled eggs. 700 million marshmallow peeps will be sold. 90 million chocolate bunnies will be produced. 16 million jelly beans will be consumed. Chicks and bunnies are also popular Easter gifts. This year when you are decorating eggs, searching for your basket of goodies and enjoying your candy, don’t forget to thank a farmer.